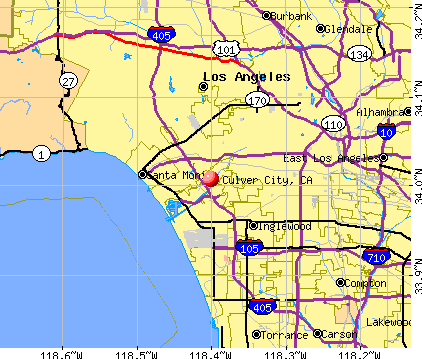 Located in the heart of Los Angeles, Culver City has been my home ever since I returned from graduate school. This posting tells its Native history. Culver City History :: The Native AmericansThe Native Americans considered local to the westside were named the Gabrielino Indians because of their proximity to San Gabriel Mission, (established in 1771). In all probability, their ancestors migrated from Oregon and Nevada through California deserts. They were Shoshonean (Uto Aztecan linguistic stock) with impressive vocabularies. The Gabrielinos lived as family, less organized than tribes, in huts called jacals or wicki-ups. These dome-shaped structures were quite large, framed in willows, and thatched with tules or grasses, which could be found along Ballona Creek. They were designed with a hole in the roof to let smoke escape, and partitions were hung for privacy since more than one family might live together. La Ballona Valley offered water, safety and an abundance of food. Although the Gabrielinos consumed a variety of foods, acorns would probably be considered the consistent food staple. The community at large gathered and stored the acorns. After cracking and shelling them, the Gabrielinos made acorn mush, by pounding them and then leaching the bitter acid from them in hot water. The Gabrielinos were expert basketmakers. They constructed baskets for their needs, which included cooking acorns that required the use of hot rocks in the water. They had the ability to waterproof items by using asphaltum, a material easily accessed at nearby La Brea Tar Pits. Hunting larger animals, like deer, elk and mountain sheep, required bows and arrows or spears. It appears that in this area, dogs were used to assist large hunting parties, unlike Mexico, where dogs were used for food. Fish was a normal part of the Gabrielino diet. Small schools of fish were caught in nets. La Ballona Creek, lagoons (at Playa del Rey) and the swamps (La Cienega) were ready sources of small fish. They also fished from the shore with line and abalone or bone hooks. Gabrielinos made board boats and canoes for fishing and transportation. They constructed reed boats called "bolsas," or wood plank canoes, both sealed with asphaltum from nearby La Brea Tar Pits or from deposits on the sandy beaches. Gabrielino rituals, provided by their religion, governed their daily lives. There were ceremonies for marriage, pregnancy, births, puberty and deaths. Solstice was also a time of celebration. Cremation was common practice. Their chiefs, the primary leaders, acted as advisors, keeper of the sacred objects and calendar, but received assistance from the heads of families and shamans. A shaman was highly respected but often feared, enjoying great political and religious power. There is evidence that women served in the capacity of shaman. Before the Spaniards arrived, the Gabrielinos had their own system of money. When they were not hunting and preparing food, they spent time playing games, even gambling, and manufacturing goods like baskets (for which they were well known), and other objects like their shell hooks, and wooden and stone implements.Comment: There you go. A peaceful tribe with no stereotypes of savage people killing each other. They had religion, government, and various forms of technology (hunting, boating, basketmaking). All this is an excuse to post photos of my recent walking tours of the neighborhood. There were no signs of Indians, but now you know on whose land I trod. Also see my pix of the two major cemeteries in Culver City, which I photographed previous.